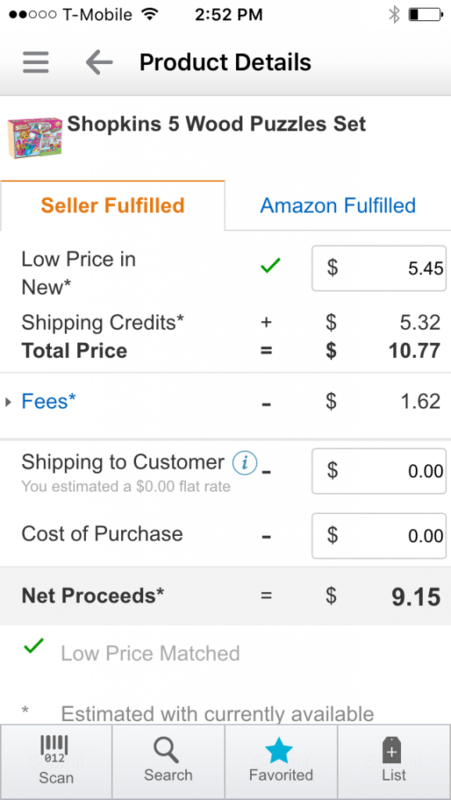 I first learned about Amazon FBA fees the hard way. 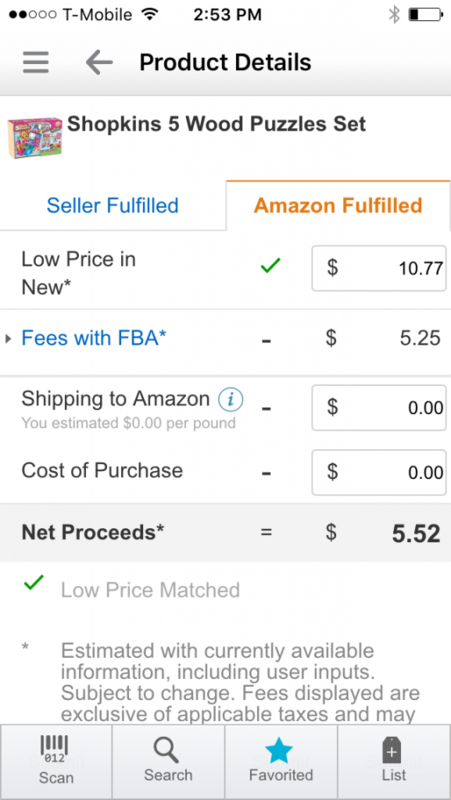 I purchased 40 items to sell via FBA for about $5 each, then learned that the seller fees exceeded this number. So, I lose about 50 cents per item sold. 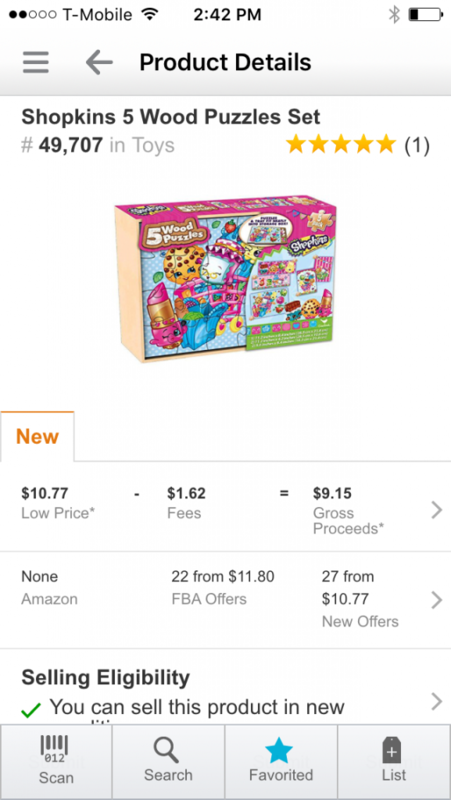 They are moving slowly, because another seller is listing the same item for $4…he must be losing $1.50 each. 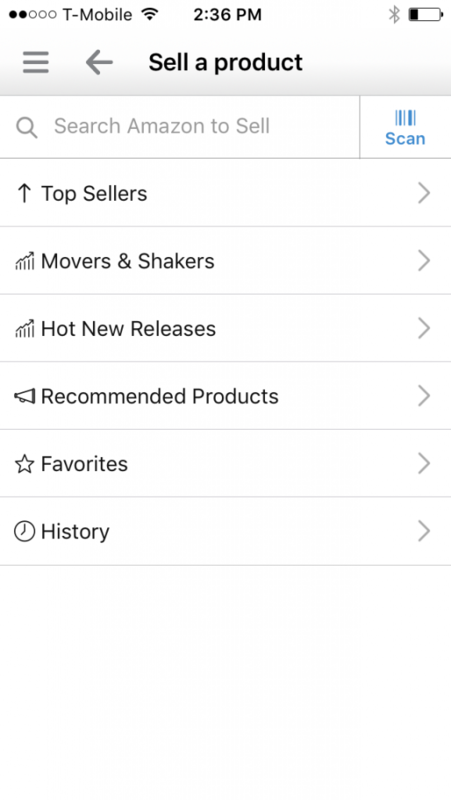 @Miles – are you a professional seller account? If not, and you think you’ll do more than 40 or so products, you may want to look into it, as you’ll save the $1 per product fee. I’m surprised they don’t offer that option on iOS. I’m using the android app and can change the default fulfillment channel for fee estimates and lowest price via Settings / Product Search. @Cav – I’d love to know how to do that. I’ve tried on my android app, and don’t see the option. Menu icon in the top left corner. On the menu that pops out, gear icon in the top right corner, next to the American flag. Same as what the previous two said, you can change that setting. Also, it looks from your screen shots that you don’t have a shipping estimate saved, not sure if you knew that you can do that too. 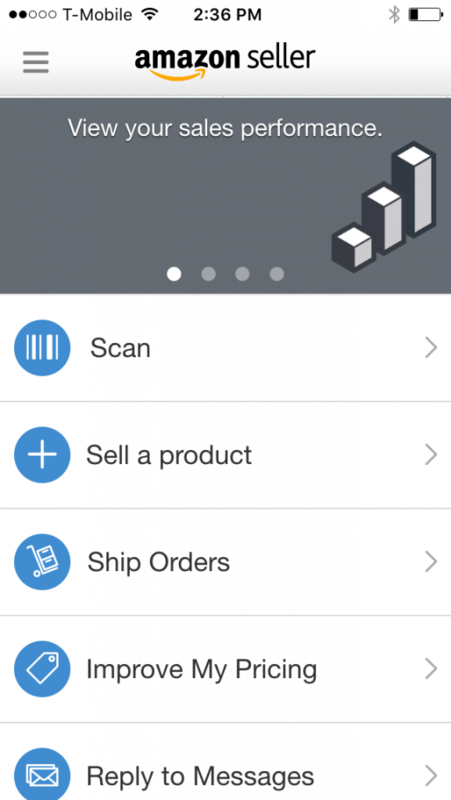 You input your average shipping fee per pound, the app saves the info and will calculate that with your net proceeds. I like the new format of the app!